Size: Female 2.8-3.3 mm; male 2.5-3 mm. Genus: Micaria Westring, 1851. 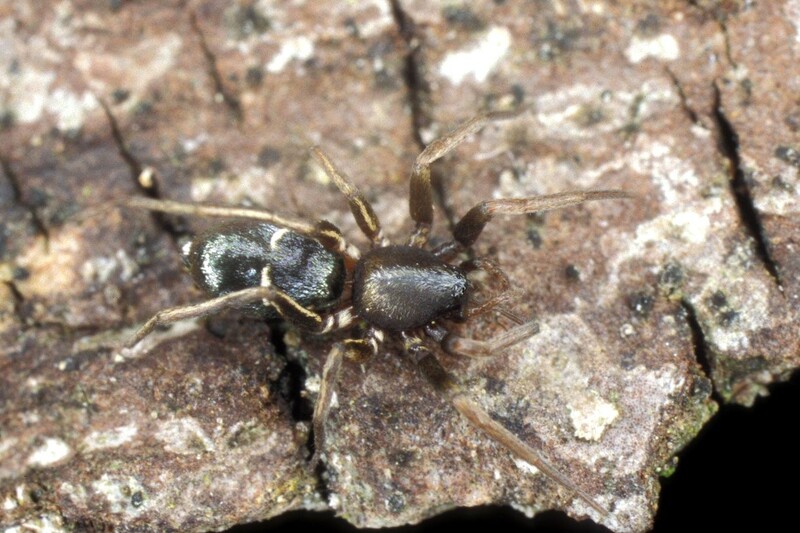 Characters of genus: This genus has previously been assigned to the Clubionidae by some workers. A depression across the endites and the often oval posterior medial eyes has resulted in its present status as a gnaphosid genus. 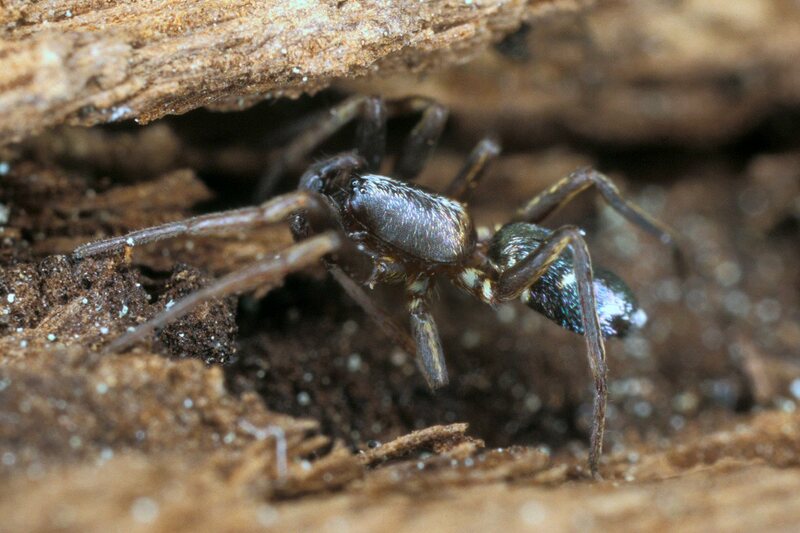 Tne cephalothorax and abdomen is covered with flattened dark scales, usually iridecent and sometimes with contrasting white spots or stripes. 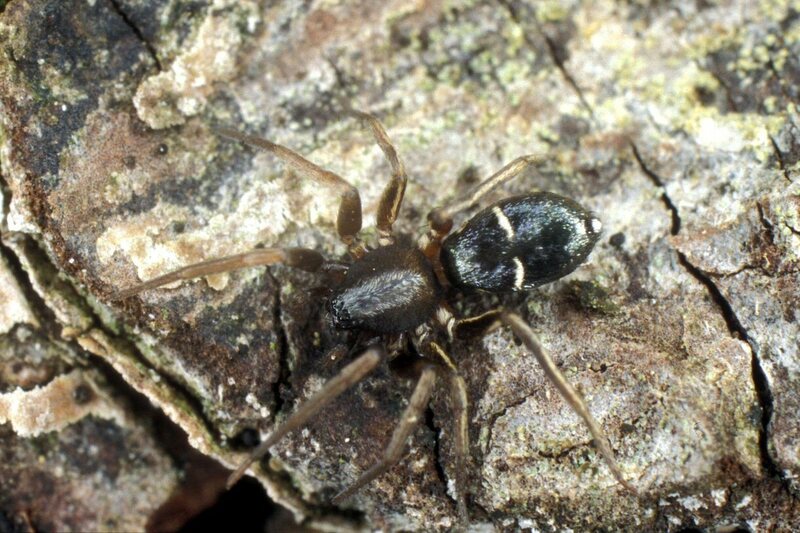 Slim, antlike spiders running rapidly over the ground in dry and warm places.